Cris Cyborg sent out a message on Thursday asking for the UFC to have a backup ready just in case Amanda Nunes is unable to face her on Dec. 29. Cris Cyborg wants to fight at UFC 232 even if she’s not facing women’s bantamweight champion Amanda Nunes. Ahead of the first ever champion versus champion fight from the women’s divisions in the UFC, Cyborg sent out a message on Thursday asking for a backup opponent to get ready for Dec. 29 just in case Nunes is unable to compete. In some recent events, the UFC has started to have a backup athlete on standby ready to make weight and compete on short notice just in case an injury or other complications would prevent a fighter from stepping into the cage for an important matchup. At UFC 228, Kamaru Usman served as a backup and was prepared to fight after welterweight title contender Darren Till had struggled with weight cuts in the lead up to his bout against champion Tyron Woodley. Cyborg is now asking for the same concession just in case Nunes is unable to compete at UFC 232 for whatever reason. The reference Cyborg made to UFC 213 was a situation that unfolded last year when Nunes was scheduled to face Shevchenko in a title fight that ended up being scrapped just a day ahead of the event. Nunes was suffering from a severe sinus issue that ultimately prevented her from fighting and Shevchenko left without competing that weekend. Cyborg is obviously hoping to prevent a similar situation from unfolding if Nunes is unable to compete for any reason by asking the UFC to have a backup fighter ready to face her on short notice at UFC 232 in December. 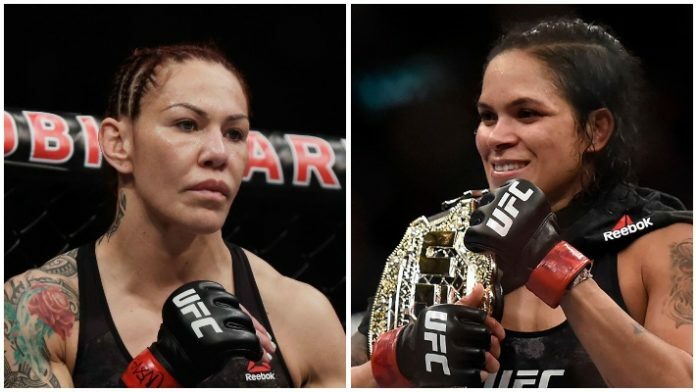 Do you think the UFC should find a backup opponent for all title fights including Cris Cyborg vs. Amanda Nunes at UFC 232? Sound off in the comments and let us know!